When it comes to your home, one of the most important components is the foundation. Because the foundation supports the weight of the entire structure, it is vital that the foundation be kept structurally sound and stable. 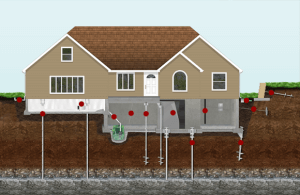 Often, foundations will develop issues such as settlement or sinking. These problems can be caused by excess moisture, increased hydrostatic pressure, or soil movement. When your foundation begins to sink or settle, it may result in various structural issues throughout the home. If you discover a foundation problem in your home, it is important to contact a professional repair expert immediately. While many homeowners attempt to tackle foundation repair on their own, it is best left to an experienced professional, such as the team of foundation repair contractors at Atlas Piers. Here at Atlas Piers, we offer a wide variety of foundation repair solutions to keep your foundation secure and stabilized. These repair solutions often involve complicated methods that should only be completed by a professional with plenty of experience in the field. 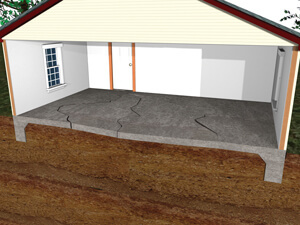 For over 25 years, Atlas Piers has been providing the Atlanta area with top quality foundation repair. Our team is full of experts for every area of foundation repair, whether it is a small residential repair job, or a larger scale repair for a commercial project, we have you covered. 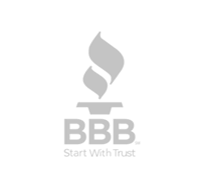 Foundation repair is our specialty – over the years, we have refined our skills to provide our customers with the highest quality of work for all foundation repair situations. Our professional contractors can take care of any foundation problem, from foundation settlement, to sinking foundations, to bowing or leaning basement walls, to wet or damp crawlspaces or basements, to cracks in your foundation, walls, or floors. 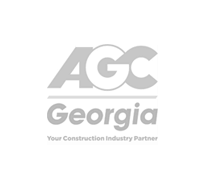 Why is Atlas Piers Your Best Choice for a Foundation Repair Contractor in Georgia and Alabama? Helical Pier Installation: The installation of helical piers helps to stabilize sinking and settling foundations. Foundation repair contractors installing helical piers must be experienced enough to ensure that the pier is being installed safely and that there is accurate lift and proper stability for the foundation. Steel Push Pier Installation: Much like helical pier installation, any foundation contractor who installs steel push piers should be able to safely and effectively drive the pier into the ground beneath the foundation. Pressure Grouting: The pressure grouting process is used to lift slab foundations and fill voids in the ground beneath structures. It takes a skilled professional such as those at Atlas Piers to make sure that the injection holes are correctly spaced and that the grout is injected at the correct pressure and speed to provide maximum lift and stability. Wall Encapsulation: This is a method used to install a vapor barrier along damp crawlspace or basement walls to seal out moisture. The experts here at Atlas Piers will make sure that the vapor barrier in your home is properly installed to keep moisture out of the crawlspace and prevent further damage to the structure. Carbon Fiber Repairs: Carbon fiber is often used to repair cracks in basement walls and strengthen the walls so that they no longer bow or lean. Our team is very efficient, and can complete a carbon fiber repair in virtually no time to straighten the bowing or leaning walls and seal cracks in your home or business. New Construction Pier Installation: If you have a new construction project, our team can install new construction piers to ensure that the home is adequately stabilized and supported. This process prevents future foundation problems, and the Atlas Piers foundation contractors can install these piers any time of the year to keep your project moving along. These are just some of the services that we offer here at Atlas Piers. Other repair solutions that we provide include: helical tieback installation, helical slab pier installation, shoring, underpinning, micro pull down pile installation, porch pier installation, and chimney repair. Our wide selection of services and experience in all aspects of foundation repair makes us the obvious choice for all of your foundation repair needs. Once of the most intimidating feelings is that of owning your own commercial business. If you own your own business, it is likely the biggest investment you have. That is why it is important to keep your business strong and sturdy. It is a good idea to have the foundation of your commercial structures examined regularly for the signs of foundation failure. If any signs of a foundation problem are found, it can be repaired immediately. 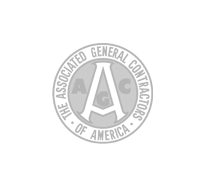 Atlas Piers is ranked #1 out of over 111 Atlas contractors throughout the nation. This is because we value the safety and stability of your foundation, we install only the most reliable products to give your foundation the strongest possible repairs. 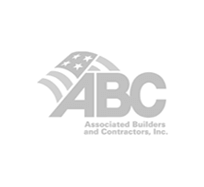 If you are looking for a commercial foundation repair contractor in the Atlanta area, look no further. Contact Atlas Piers today for more information on our commercial foundation products and commercial repair solutions.